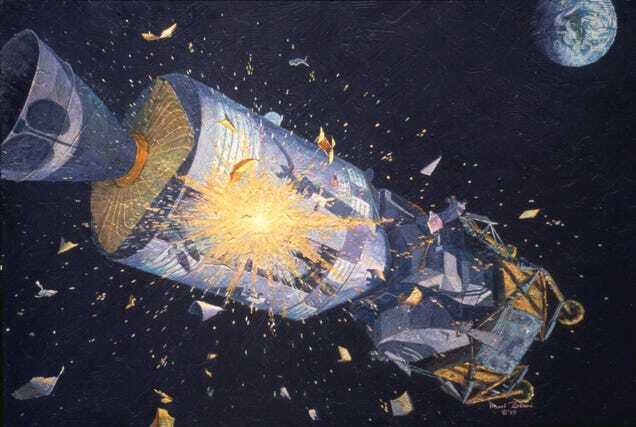 Recounts of the Apollo 13 mission, 17 April 17 1970, are dominated by stories of the oxygen tank’s explosion and the subsequent fight engineers waged against the dying spacecraft to save the crew’s lives. And understandably so; it’s one of the most captivating stories of the era that’s given the mission the subtitle of “the successful failure.” But it wasn’t all a failure. Some mission objectives were just successes, among them the deliberate impact of the Saturn V’s third stage on the lunar surface. The massive Saturn V was a three-stage rocket. The first (S-IC) and second (S-II) stages were both designed to fall back to Earth after launch. But the third stage, the S-IVB, was designed to go further. This stage accompanied the Apollo spacecraft into Earth orbit then used its massive engine to send the docked Command and Service Module (CSM) and the Lunar Module (LM) towards the moon; the maneuver was properly called the translunar injection burn. Only when the CSM/LM was on its way to the moon did the S-IVB undock from the spacecraft. But by then it had the same lunar-bound momentum as the spacecraft. On the Apollo 8, 10, and 11 missions NASA let the S-IVB stage follow a ballistic trajectory that had it pass by the moon and go into into orbit around the sun. But on Apollo 13, NASA kicked the S-IVB on to a trajectory that would have it impact the lunar surface. The reason goes back to Apollo 12. When Pete Conrad and Al Bean landed on the moon, they brought along a series of science instruments. Among them was a seismometer, an instrument designed to register ground displacement on the moon to give scientists a look at our satellite’s internal structure. Apollo 11 also left a seismometer on the lunar surface, but it fell silent after just three weeks. So it was for the benefit of the scientists reading data from Apollo 12’s seismometer that NASA crashed Apollo 13‘s S-IVB into the moon. NASA tracked Apollo 13’s S-IVB by radio signals after spacecraft separation, enabling engineers to accurately predict the time and place the impact would occur. 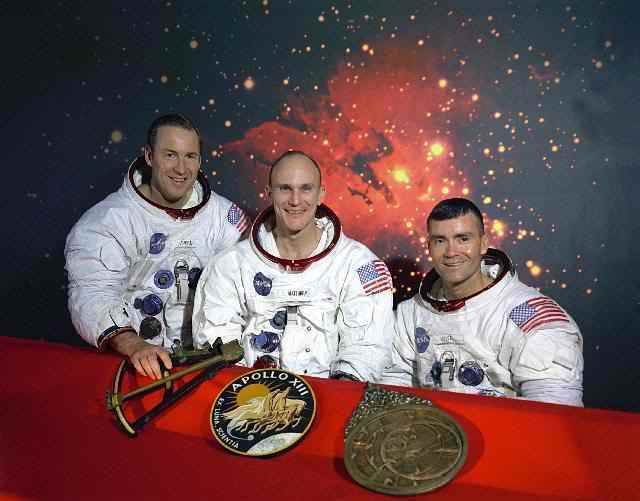 When Apollo 12’s seismometer registered a series of vibrations originating from a point about 83 miles away, they knew it was the spent rocket stage. In that instant, it weighed 29,599 pounds and was traveling at 8,465 feet per second. NASA’s Lunar Reconnaissance Orbiter has imaged the Apollo 13′s S-IVB impact site. Apollos 14, 15, 16, and 17 also left seismic stations on the moon creating a network covering a small area of the surface. These four missions’ Saturn V S-IVB stages also impacted the Moon creating vibrations picked up by the seismic network. Between 1969 and 1977, this network registered some 13,000 seismic events that encompassed some of the most important science data of the Apollo program.